Creativity: JUJAMA serves as "creative partner" to solve problems, enhance association and sponsor branding. Customer service: "Completely responsive" service with "consistent follow-up." 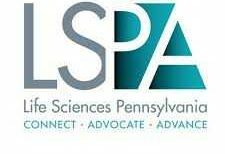 Life Sciences Pennsylvania has served the life sciences community for more than 24 years. It is one of the largest trade organizations in the U.S. and hosts numerous member events each year. Karen DeLone, Vice President, Membership and Programs, said, “Events are where our members really see the value of their membership!” At LSPA events each year, association members have the opportunity to facilitate partnerships—a strategic part of our mission, which JUJAMA makes possible via their partnering software–by connecting and interacting with colleagues and industry leaders while staying abreast of the latest developments and hot topics in life sciences. They may meet investment partners, find potential licensing opportunities, or simply have a one-on-one meeting resulting in business growth. JUJAMA provides the event platform and mobile app that LSPA uses to give members an opportunity to plan and connect for the conference before leaving for the event. It’s a way for attendees to tell their story, communicate with other attendees, schedule meetings in advance and exchange information. Attendees have the ability to view the agenda in advance and create a personal schedule. LSPA uses JUJAMA push notifications to inform attendees of last-minute changes, and offers post-event capabilities that allow members to follow up with promising potential partners once everyone has returned to the office. "I don't know how we could have done some of our events without JUJAMA. Their customer service is unparalleled, they're cost-effective and they're willing to adapt. As we have expanded, they've grown with us. JUJAMA is our favorite partnering system vendor!"